Home › Analysis › Champions League : A New Cycle, For Premier League Clubs ? Champions League : A New Cycle, For Premier League Clubs ? The rise and fall of English clubs in Europe; is it serious doctor ? 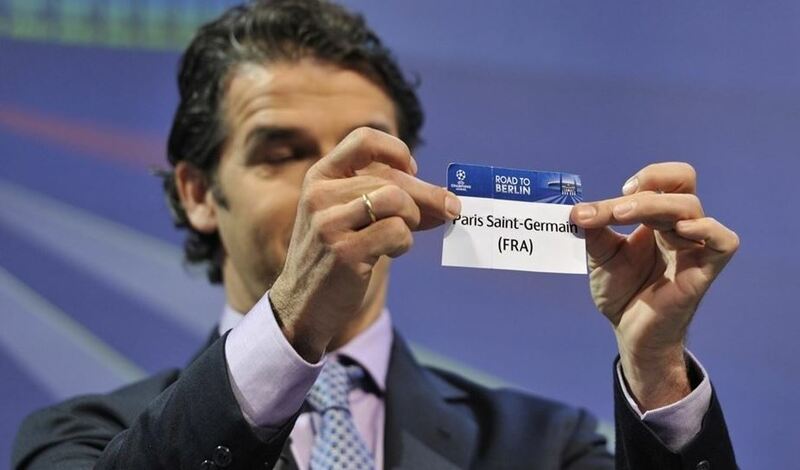 Nostalgia… Envy… Anger… Mixed sentiments watching the Champions League quarter finals draw, at Nyons (Switzerland)… Why ? That question was recurrent in every English fan’s mind: what happened to the best football of Europe? Why the English teams are struggling to find a place between the best eight European teams, when not long ago, EPL provided three semi-finalists for the Final and that for three consecutive seasons? Gloom and doom everywhere; was it because England produced only(?) two Champions League finalists (one winner, Chelsea FC) and three semi-finalists, in the last five years? Many European countries would love this kind of achievement, so why this disappointment? Is this just cyclical, or some other, fundamental reason, who stops the progress of the English football? First of all, while the English teams were maintaining their status, some European teams (Barcelona, Real Madrid, Bayern Munchen) were progressing by updating their game, changing some of their “classic” way of playing the ball. It’s not a coincidence that the English fall from grace was at the beginning of Barça’s European golden era. England is an island, despite Eurostar’s revolution; the English way of playing, haven’t changed a lot; the same old pattern(Attack-Attack-Attack!) is always the clubs’MUST. During this period, the European teams, added some (very) good forwards in their already good defensive side. This would explain the current situation, more than some EPL managers( Louis van Gaal, Mauricio Pochettino, Roberto Martinez) blast against Christmas’ heavy schedule. It’s true that during Christmas holidays, the European teams stop playing, thus giving a breather to their players, while their English colleagues play every 2-3 days under some difficult weather conditions, which isn’t helpful, either. Nevertheless, that didn’t stop Premier League sides to win and enjoy some good years of dominance, since 2005. Is this because of Premier League’s intense competition( Attack, Attack, Attack), making each game a real contest and maintaining the excellent reputation of English Football way of playing, thus winning great amount of money, from TV’s deal, (£ 5.1 bn) ? English clubs don’t play more games than their European counterparts; it’s just that the intensity is not on the same level. Also, this money helps every club in EPL to buy good players and therefore being able to beat each other. Is it important, doctor ? Yes, if the club’s priority is to win the European Contest, but is it? Jose Mourinho, didn’t lose his job, after the defeat to PSG in the last 16 but if Chelsea were out of contention in the Premier League,then his position as Head Manager, would be uncomfortable; President Abramovich sacked managers for less! Anyhow, this year’s failings were more human ones than football’s: between Mourinho’s cautiousness, during the second leg versus a courageous PSG, Arsenal’s Kamikaze game and lack of respect, vs AS Monaco at the Emirates and Manchester’s City woes against a revitalised Barça and his wizard, called Messi, God, Mr Superman etc, the English teams have their own tears to deal with, but it doesn’t mean that next year, the English football won’t win any silverware.Football is cyclical, teams like Manchester United and Liverpool will come back to join this year’s losers, so Heads Up and enjoy the Best League of the World ! Editor’s note : and this is claimed by a Ligue 1 sufferer !